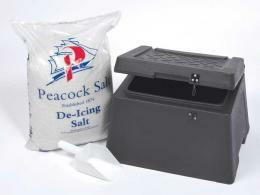 What is the purpose of the 36kg Commercial Salt Spreader? 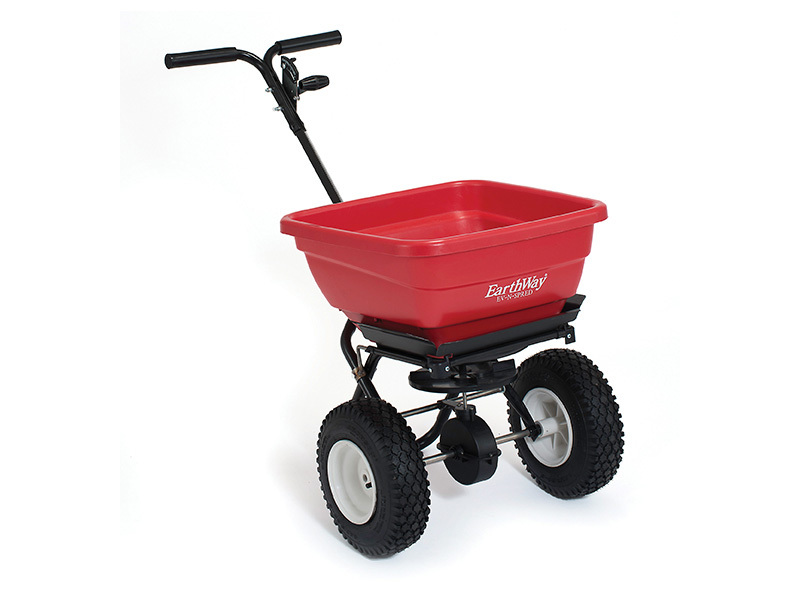 The 36kg Commercial Salt Spreader can be supplied with powder coated or stainless steel chassis and handles. It has pneumatic tyres specifically designed for winter and is therefore a fantastic product if you are looking to prevent hazardous areas around your home or business due to snow/icy weather. The commercial spreader can be used by someone who is looking for an effective method of decreasing ice around your home, business or public areas. With a 4m salt spreading capability, the commercial salt spreader would be beneficial to school playground areas or car parks where vasts amount of people walk. Who might use the 36kg Commercial Salt Spreader? Those who are looking for an effective solution to icy roads and pavements - this could be for personal or business use. 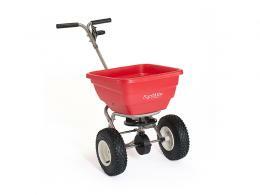 The salt spreader has a 36kg hopper and can be purchased with a powder coated or stainless steel finish. 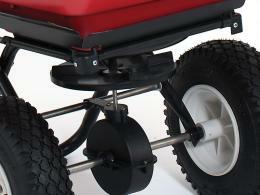 The salt can be spread up to 4m and the 33cm pneumatic tyres are specifically designed for winter use. A 5 year warranty is included.